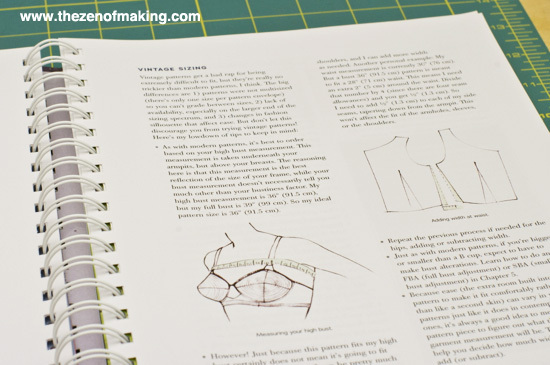 Part beginner sewing manual, part guide to vintage fashion, Gertie’s New Book for Better Sewing: A Modern Guide to Couture-Style Sewing Using Basic Vintage Techniques by Gretchen Hirsch is every bit as practical as it is pretty. 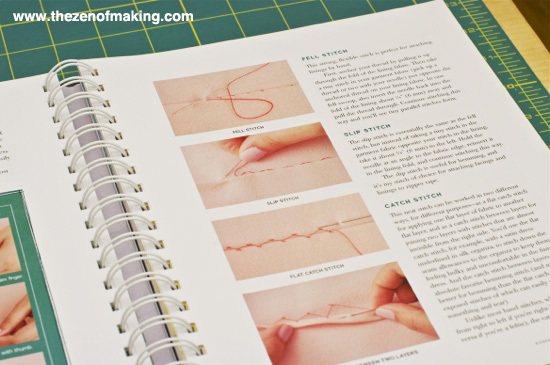 The book is filled with tips and tricks for perfecting sewing techniques, patternmaking, and creating a perfect fit, making it a welcome addition to any sewing library. 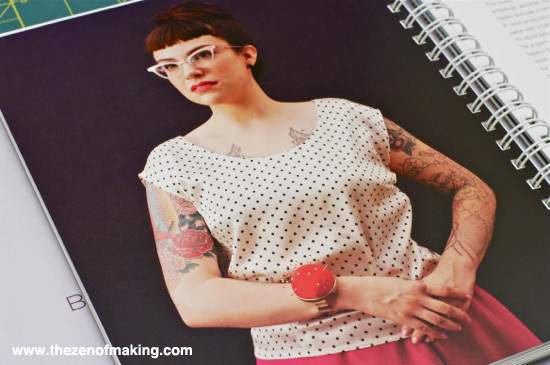 I adore the flattering, vintage-ispired patterns that Gertie designed for the book, and I can’t wait to show off the Portrait Blouse that I made while writing this review! 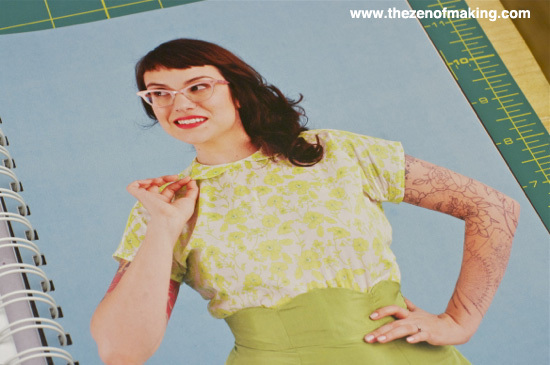 Gretchen “Gertie” Hirsch is a passionate home seamstress, a sought-after sewing teacher, and the creator of one of the web’s most popular sewing blogs: Gertie’s New Blog for Better Sewing. 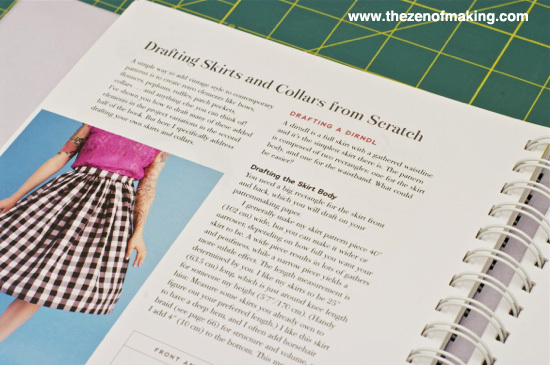 The blog began as a way for readers to follow Hirsch’s progress as she stitched all 14 fashions from the iconic 1950s sewing book Vogue’s New Book for Better Sewing (a Julie & Julia–esque experiment for the modern sewist). It quickly became a place for Hirsch to share tutorials and lively posts about sewing as it relates to fashion history, pop culture, body image, and gender. An extension of the blog, Gertie’s New Book for Better Sewing is a hardworking reference title packed with lessons on couture techniques and customization, as well as an inimitable pattern collection featuring 25 wardrobe essentials and variations inspired by vintage fashion and Gertie’s spirited, modern style. By Gretchen Hirsch, photographs by Jody Rogac, illustrations by Sun Young Park. 150 color photographs and 250 color and black-and-white illustrations. 208 pages. 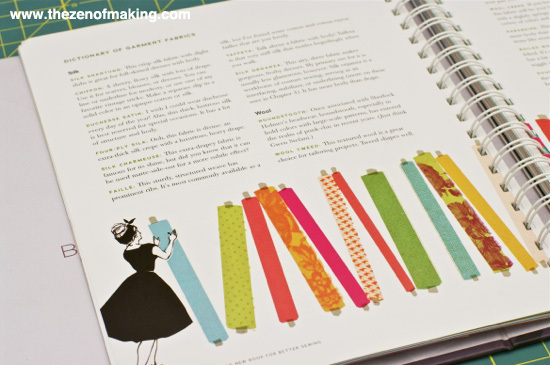 Introducing: Gertie’s New Book for Better Sewing from STC Craft / Melanie Falick Books on Vimeo. In this review, I’ll discuss both the book and the included printed patterns. 1. 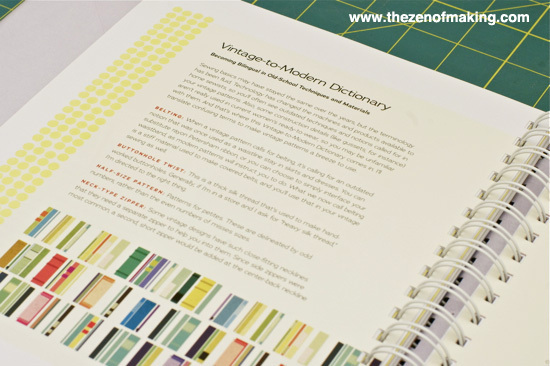 The book includes 10 printed patterns that allow you to make up to 25 different vintage-inspired wardrobe essentials. The patterns: The pencil skirt, the portrait blouse, the sultry sheath, the scalloped-waist skirt, the bow-tied blouse, the sweetheart sundress, the wiggle dress, the shirtwaist dress, the suit jacket, and the coat dress. 2. 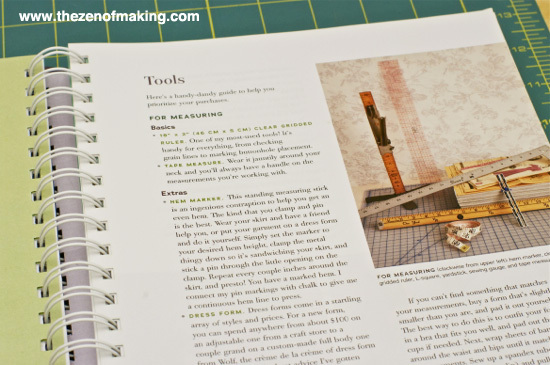 For beginning sewers, the book includes thorough lists of the tools needed to sew garments and make patterns, plus a handy fabric reference guide. 3. 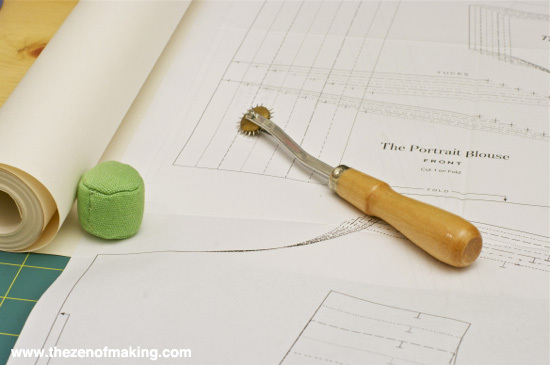 There is an Essential Techniques section with basic sewing skills like common hand stitches, machine stitches, zipper instructions, and seaming techniques. 4. To ensure that you get a perfect fit without feeling overwhelmed—becasuse, what’s the point of spending all that time sewing your own clothes if you can’t wear them—there’s a handy fitting checklist in the Fitting chapter. 5. 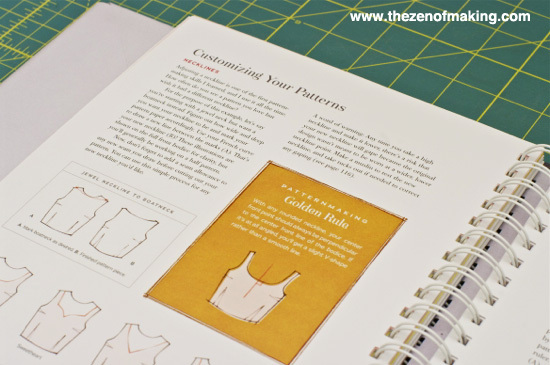 Once you’ve got the hang of the basics, the Patternmaking and Fitting chapters will help you customize and personalize your wardrobe. 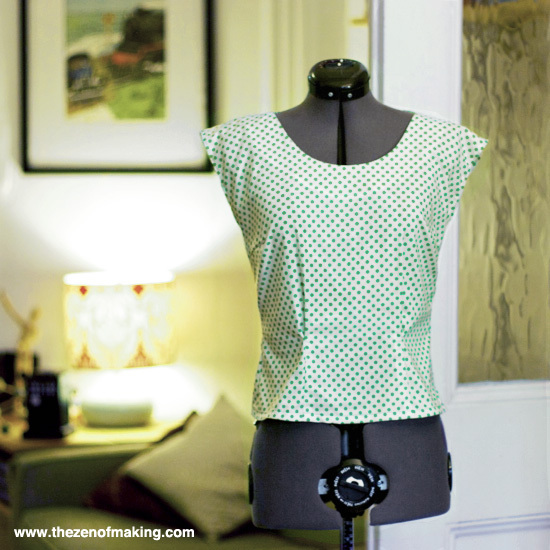 Even if you’re new to working with patterns, the clear instructions and helpful sketches will have you changing necklines, fixing common fit problems, and adding your own details in no time. For me, the hardest part about drafting or altering a pattern is knowing exactly where to widen/reduce each piece to add extra room in the bust or to remove pesky waist gaps, so I love that both chapters start with a basic pattern piece, then show all of the steps needed from start to finish to change the shape as desired. 6. Skirts and collars are great ways to craft a signature look, and they’re pieces that you can easily draft from scratch. 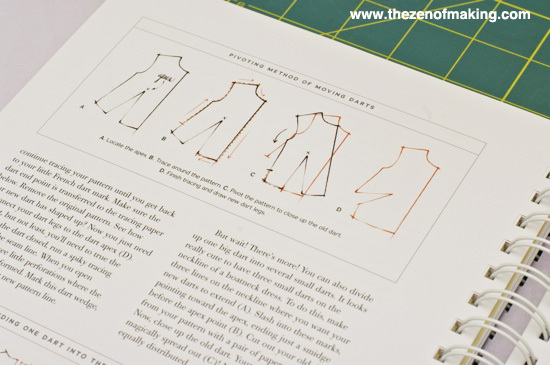 The end of the Patternmaking chapter shows you how to turn basic shapes into your own designs. 7. 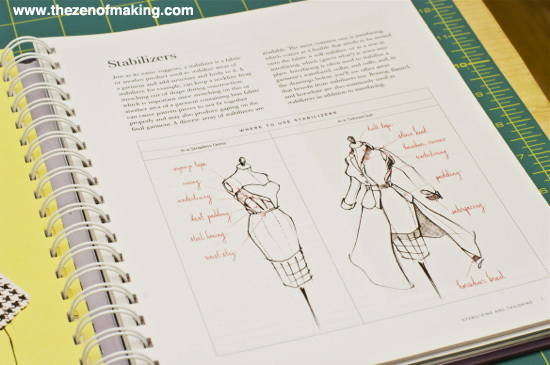 If you’re working with garments that need a little help holding shape, this stabilizer guide in the Stabilizing and Tailoring section is a fantastic at-a-glance reference. 8. 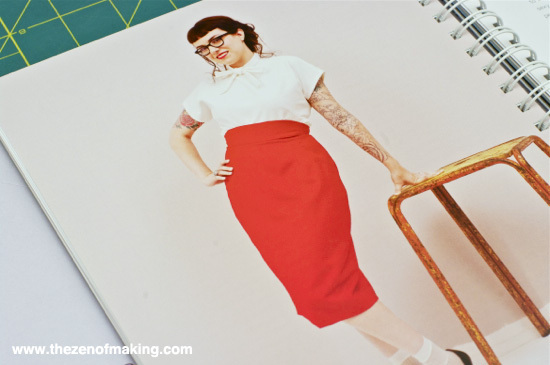 For folks interested in using real vintage patterns, the book also includes a vintage-to-modern dictionary and a guide to vintage sizing in the Sewing Retro chapter. 1. 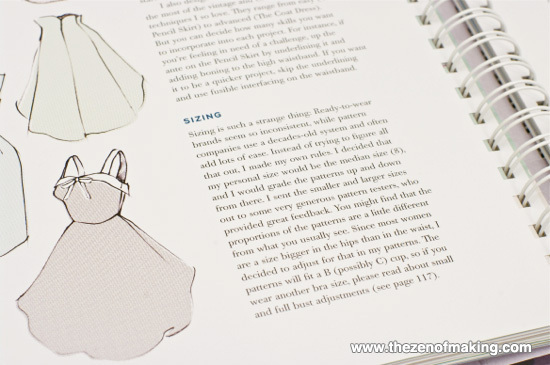 Since most women are a size bigger in the hips than in the waist, the pattern proportions in the book are already adjusted to take this difference into account. When I read this in the sizing guide, I actually got out of my chair and did a little happy dance. Three cheers for patterns that are actually shaped like the women who will be using them! 2. The patterns are printed on both sides, so you must make a duplicate, even if you’re in a hurry and sure of your size. 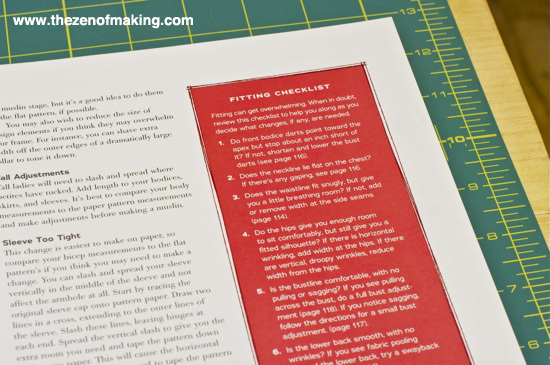 Make sure that you have pattern paper on hand when you’re ready to get started! 3. 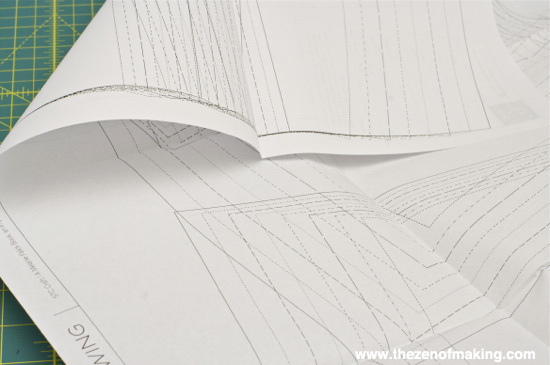 The ⅝" seam allowances are included in the patterns, so you don’t have to waste time adding them to your pattern pieces.  When choosing a size, keep in mind that you’re working with vintage cuts, which generally fit more closely than modern styles. Pay attention to your actual measurements, not the size that you usually wear. I had a great time reading the book and trying out the techniques and patterns! 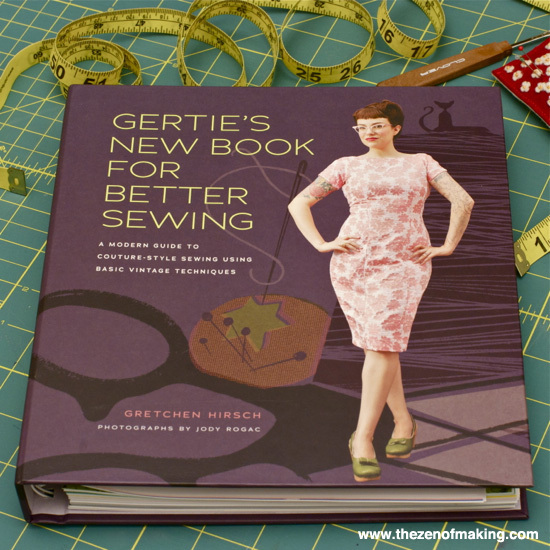 I would definitely recommend Gertie’s New Book for Better Sewing to beginning sewers and vintage enthusiasts alike. Ready to buy your own copy? Disclosure: A sample copy of this book was provided for review by the publisher, but the opinions in this review are honest and my own. Just added this to my amazon wishlist!!! Well, I had been planning on using them but obviously having hips four sizes smaller than my waist (five in these patterns) makes me less of a woman, shaped unlike a woman or just not suitable to buy the book I’m really not sure. How does one determine sizing on the pdf blouse? I didn’t include a PDF in my review. But, if you found your way to my site through CRAFT, and you’re asking about the Portrait Blouse project excerpt there (http://makezine.com/craft/the-portrait-blouse-from-gerties-new-book-for-better-sewing/), there’s a sizing key in the upper left hand corner of the first pattern piece page. Hope that helps!